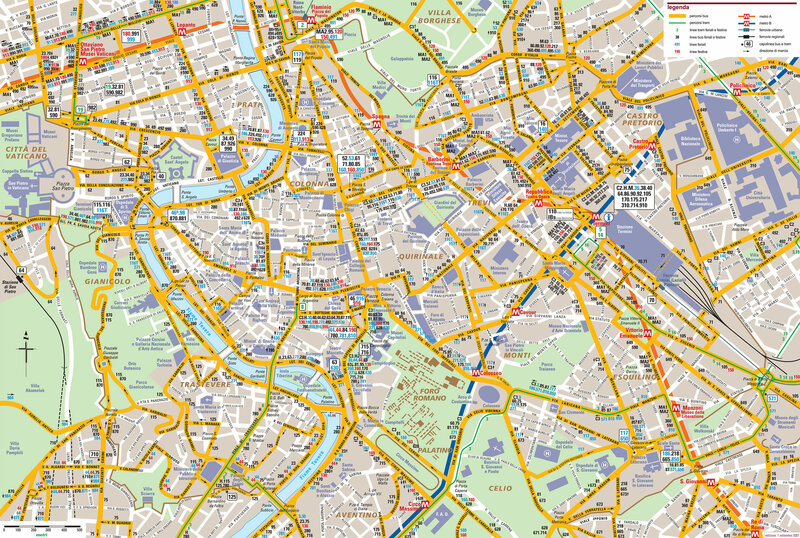 You can find on this page the map of Rome bus and the map of Rome night bus. Rome buses are a transit system serving the city of Rome (Italy) with the subway, the urban, suburban & commuter train or the tram. The bus & the night bus network has 414 lines (383 regular bus / 31 night bus). The Rome bus network is operated by the ATAC (Azienda Tramvie ed Autobus del Comune di Roma). Its network includes 383 lines including a trolleybus line : the 90 Express line from Termini station ↔ Largo F. Labia. 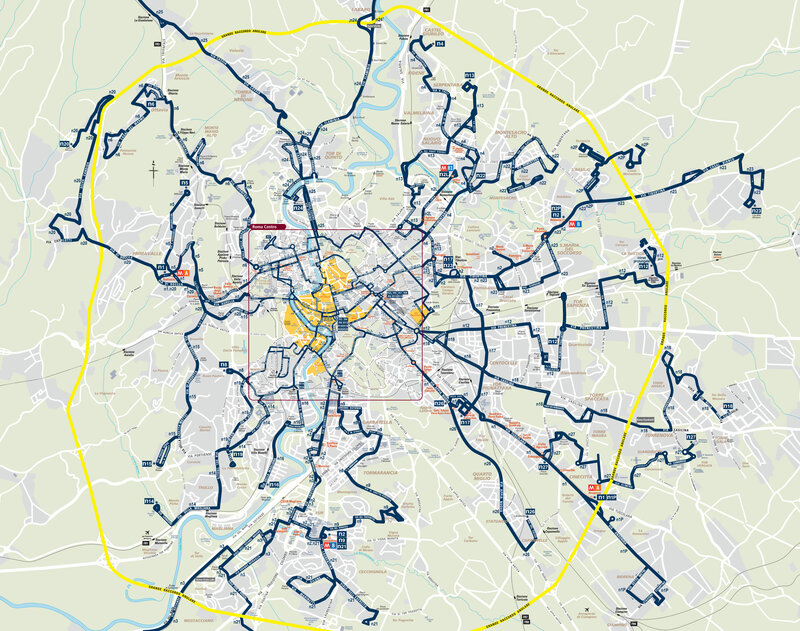 The Rome night bus network is operated by the ATAC (Azienda Tramvie ed Autobus del Comune di Roma) and includes 31 lines.